All Cranston-Eagle marine hooks now feature a rotating hook piece made of stainless steel instead of the coated low-alloy steel used previously. 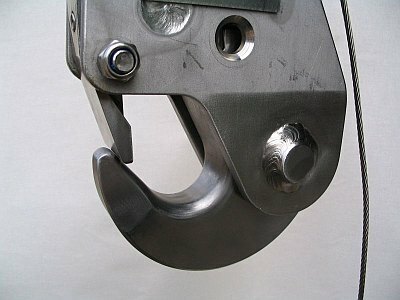 The change of material was to improve corrosion resistance of the hook without sacrificing any strenght or robustness. All hooks are now made 100% of stainless steel. The new hook part is milled from round bar of high-strength S165M stainless steel with even better mechanical properties than the low-alloy steel used before. Test results of destructive testing done at VTT, Technical Research Centre of Finland, confirm we now make even stronger hooks than before.